An export quality Australian headliner and a Canadian comedy maverick come together in this not to be missed split-bill show. After a decade on the Australian Circuit Jacques has spent the last 2 yrs honing his craft on the world stage. He’s now a Bona-fide international headliner. with a Reputation for always flying and never dying. “Clever… A genuine talent” Herald Sun. Last year Bryan headlined shows in over 15 countries including England, Canada, Singapore, Switzerland and the USA. A live performer since childhood, Bryan O'Gorman honed his stand up skills in the legendary Toronto comedy scene and is refining them on stages throughout this dimension. Catch him now before he dies in a feeble attempt to make it to the moon in a homemade rocket. 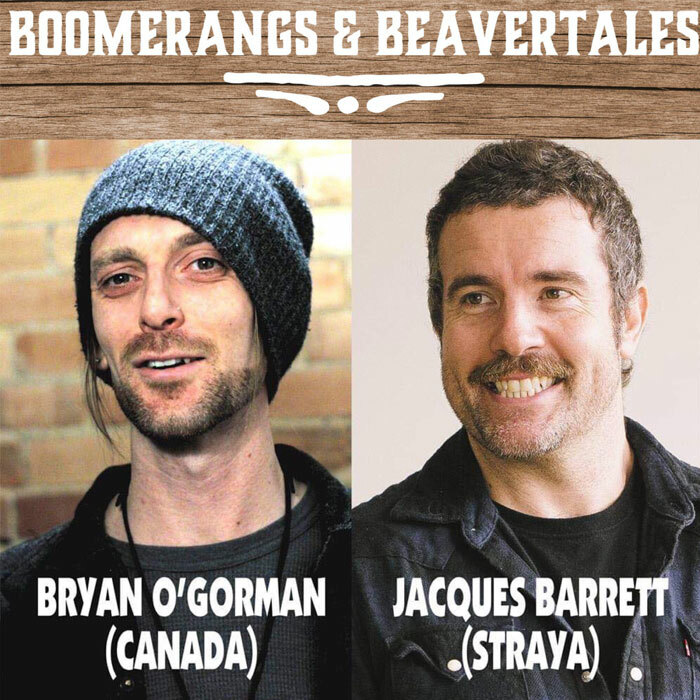 For three years running Australian festival favourite Jacques Barrett and Canadian comedy maverick Bryan O'Gorman have teamed up for a fresh take on the split-bill show. Jacques has spent 12 yrs on the Australian comedy circuit and the last 3 years honing his craft on the world stage. He’s now recognized as a bona-fide international headliner and commended for his ability to read audiences and land relentless comedy blows. In 2018 Bryan headlined shows in 15 different countries. A live performer since childhood he honed his skills on the legendary Toronto Comedy scene before taking it worldwide to build a new world order of fans. Two seasoned international headliners with a combined 30 years of knowledge in a unique tag-team format forging mirth-filled diamonds to infinity. It's the surest comedy bet at the Fest. “Endlessly punchy… A standout Fringe comedy… 5 Stars” The West Australian.